After almost unlimited generation of all manner of rumours, the Nokia 9 PureView is finally becoming reality, which an announcement scheduled for February 24 at HMD’s MWC event. With just less than two weeks left before the official announcement, the smartphone has passed through the Android Enterprise Recommended website with key specs and a render. 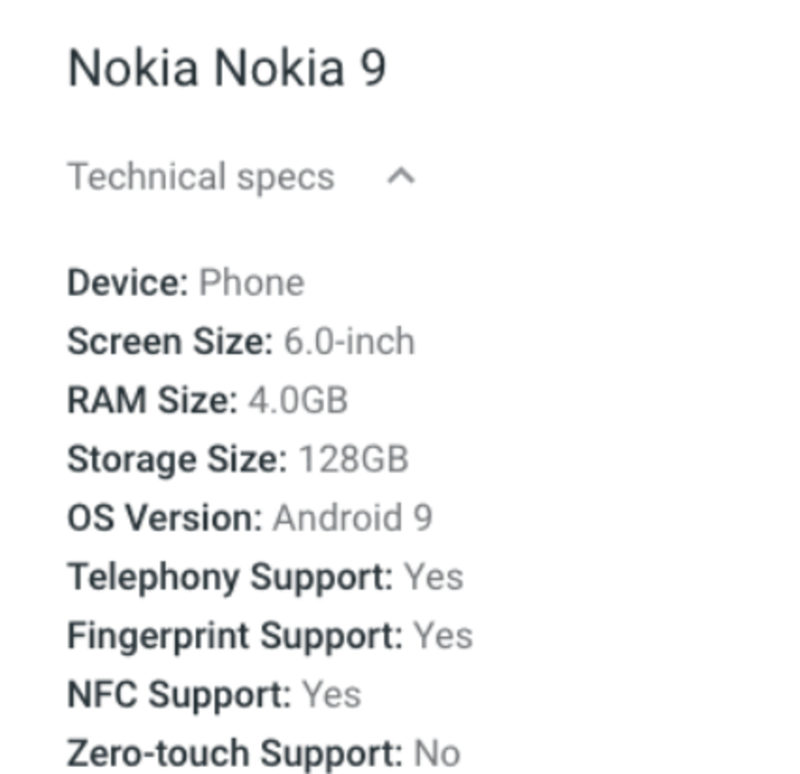 Other information confirmed by the listing mentions the presence of NFC and Android 9 Pie straight out the box. Just like other Nokia smartphones, this particular device will be part of the Android One program, ensuring stellar software support for the handset. Previous rumors tease a 4,000mAh battery capacity, that should be enough to ensure a full day of usage.